New Year Millionaire is a new free binary options trading software. The developers of this system tell us that it’s only a few weeks into the new year and we are already blowing all of our New Year’s resolutions. Not exactly a friendly introduction. Today I’ll be providing a review in I probably won’t be friendly in return. As soon as you pause the video you get a huge pop-up that says if you download a 100% free system right now you will be a new year millionaire. It would be sarcasm if I said that I’ve never heard that before. I notice a very similar marketing method as soon as I start watching the video. The developer is trying to make us feel bad about ourselves and provide us with a solution to that feeling. This is a very common marketing method used by vendors that are providing us with bad products. I continue watching the new year millionaire video and I’m not sure why. After a couple of minutes the developers starting to tell us how our lives are going to change. We are finally going to have time and money to hire personal trainers, buy new cars and go on great vacations. The marketing being pushed in this video is so thick that I can barely stand it. There is nothing professional about this, it is just a lot of pushing without anything there to back it up. Today I will not be recommending the new year millionaire to any binary today reader. This is just like many of the other systems that I review on a daily basis here. It is not a winner. If you’re looking for real winning solutions go ahead and check out my income reports. 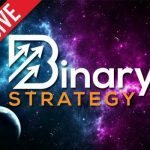 Take a look at what works for me and the rest the binary today community. Thank you for coming to my website today and I hope that you come back soon and that this information served its purpose.